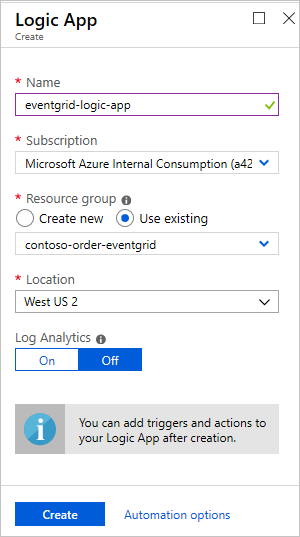 Azure Event Grid helps you build event-based applications and easily integrate IoT events in your business solutions. This article walks you through a setup which can be used to track and store the latest device connection state in Cosmos DB. We will use the sequence number available in the Device Connected and Device Disconnected events and store the latest state in Cosmos DB. We are going to use a stored procedure, which is an application logic that is executed against a collection in Cosmos DB. The sequence number is a string representation of a hexadecimal number. You can use string compare to identify the larger number. If you are converting the string to hex, then the number will be a 256-bit number. The sequence number is strictly increasing, and the latest event will have a higher number than other events. 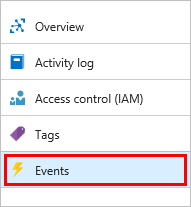 This is useful if you have frequent device connects and disconnects, and want to ensure only the latest event is used to trigger a downstream action, as Azure Event Grid doesn’t support ordering of events. An active Azure Cosmos DB SQL API account. If you haven't created one yet, see Create a database account for a walkthrough. A collection in your database. See Add a collection for a walkthrough. When you create your collection, use /id for the partition key. First, create a stored procedure and set it up to run a logic that compares sequence numbers of incoming events and records the latest event per device in the database. In your Cosmos DB SQL API, select Data Explorer > Items > New Stored Procedure. 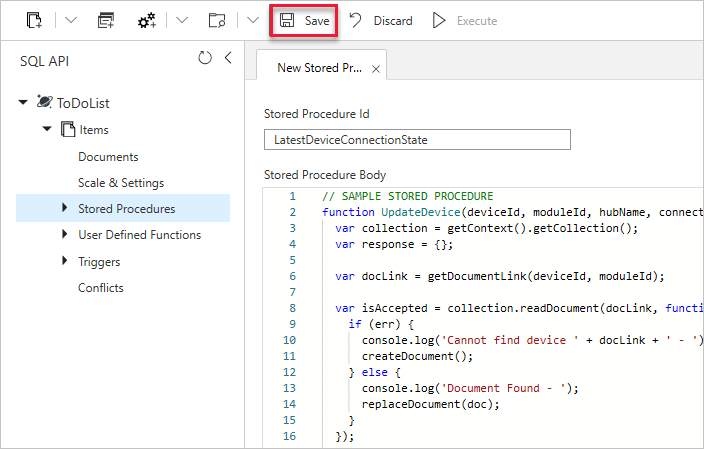 Enter LatestDeviceConnectionState for the stored procedure ID and paste the following in the Stored Procedure body. Note that this code should replace any existing code in the stored procedure body. This code maintains one row per device ID and records the latest connection state of that device ID by identifying the highest sequence number. 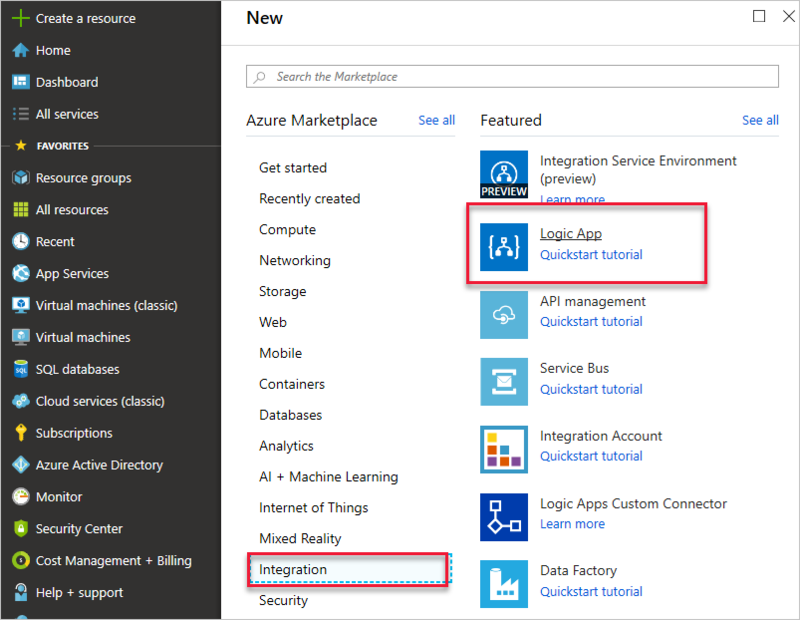 In the Azure portal, select +Create a resource, select Integration and then Logic App. Select Create to create the logic app. 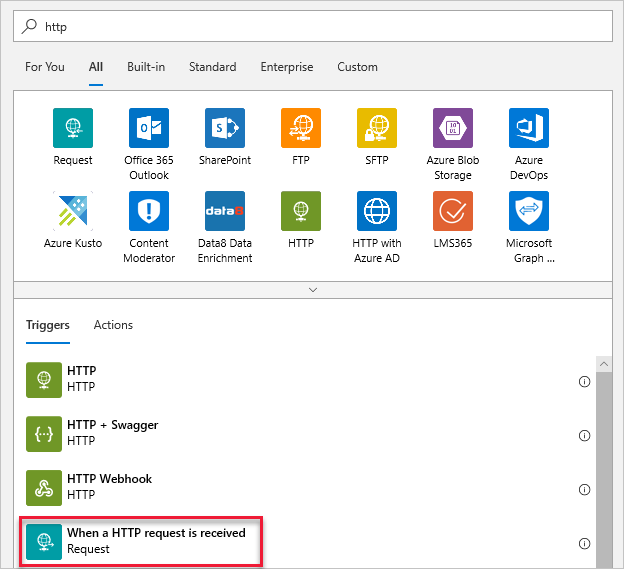 You've now created an Azure resource for your logic app. 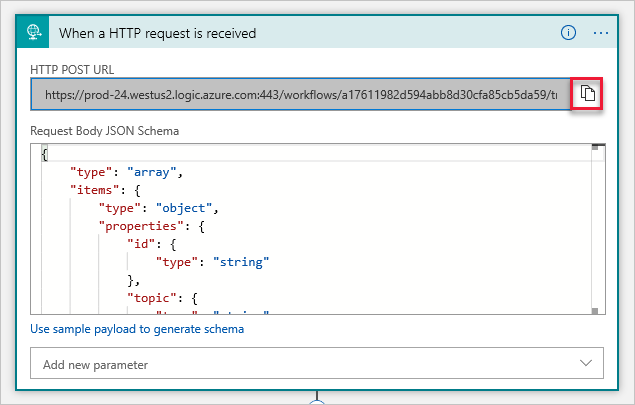 After Azure deploys your logic app, the Logic Apps Designer shows you templates for common patterns so you can get started faster. To find and open your logic app again, select Resource groups and select the resource group you are using for this how-to. Then select your new logic app. This opens the Logic App Designer. In the Logic App Designer, scroll to the right until you see common triggers. Under Templates, choose Blank Logic App so that you can build your logic app from scratch. In the connectors and triggers search bar, type HTTP and hit Enter. In your logic app workflow, conditions help run specific actions after passing that specific condition. Once the condition is met, a desired action can be defined. 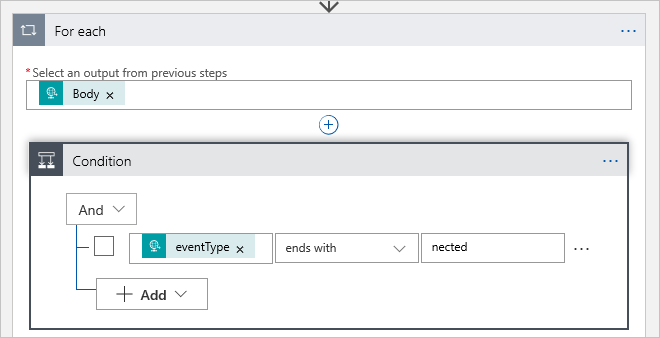 For this tutorial, the condition is to check whether eventType is device connected or device disconnected. The action will be to execute the stored procedure in your database. Choose a value: eventType -- select this from the fields in the dynamic content that appear when you click on this field. Change "is equal to" to ends with. In the if true dialog, click on Add an action. Select Add new parameter. 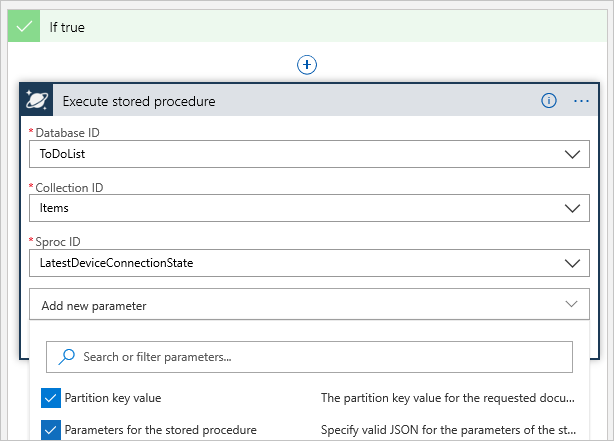 In the dropdown that appears, check the boxes next to Partition key and Parameters for the stored procedure, then click anywhere else on the screen; it adds a field for partition key value and a field for parameters for the stored procedure. Now enter the partition key value and parameters as shown below. Be sure to put in the brackets and double-quotes as shown. You may have to click Add dynamic content to get the valid values you can use here. At the top of the pane where it says For Each, under Select an output from previous steps, make sure it Body is selected. Before you leave the Logic Apps Designer, copy the URL that your logic app is listening to for a trigger. You use this URL to configure Event Grid. 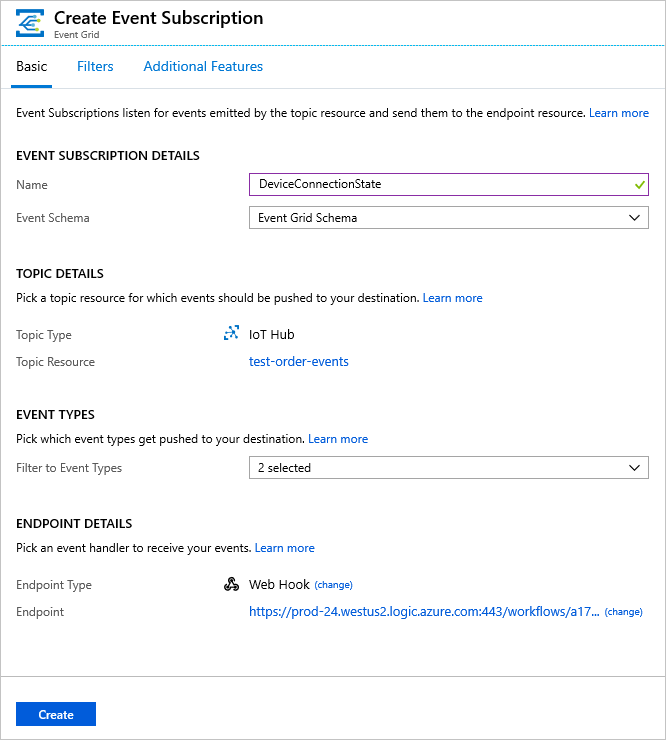 Fill in Event Subscription Details: Provide a descriptive name and select Event Grid Schema. Fill in the Event Types fields. Uncheck Subscribe to all event types and select Device Connected and Device Disconnected from the menu. 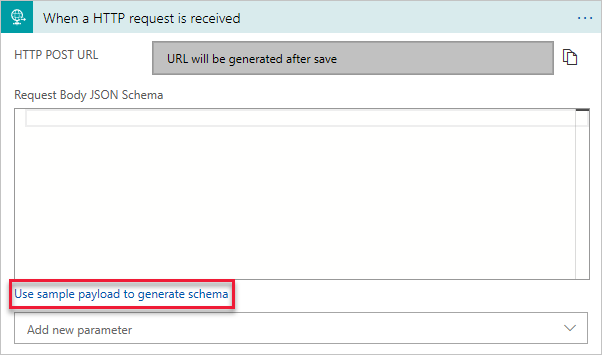 For Endpoint Details, select Endpoint Type as Web Hook and click on select endpoint and paste the URL that you copied from your logic app and confirm selection. Now that your event subscription is set up, let's test by connecting a device. Select +Add at the top of the pane. For Device ID, enter Demo-Device-1. You can add multiple devices with different device IDs. Click on the device again; now the connection strings and keys will be filled in. Copy the Connection string -- primary key for later use. Let's use the Raspberry Pi web simulator to simulate device connection. This will trigger a device connected event. 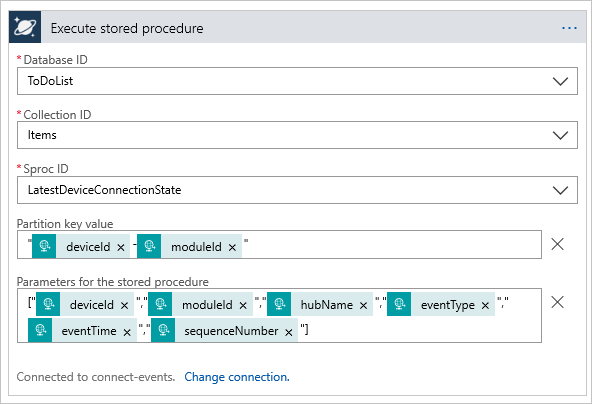 In the coding area, replace the placeholder in Line 15 with your Azure IoT Hub device connection string that you saved at the end of the previous section. Run the application by selecting Run. You see something similar to the following output that shows the sensor data and the messages that are sent to your IoT hub. Click Stop to stop the simulator and trigger a Device Disconnected event. You have now run a sample application to collect sensor data and send it to your IoT hub. You can see results of the executed stored procedure in your Cosmos DB document. Here's what it looks like. Each row contains the latest device connection state per device. Instead of using the Azure portal, you can accomplish the IoT Hub steps using the Azure CLI. 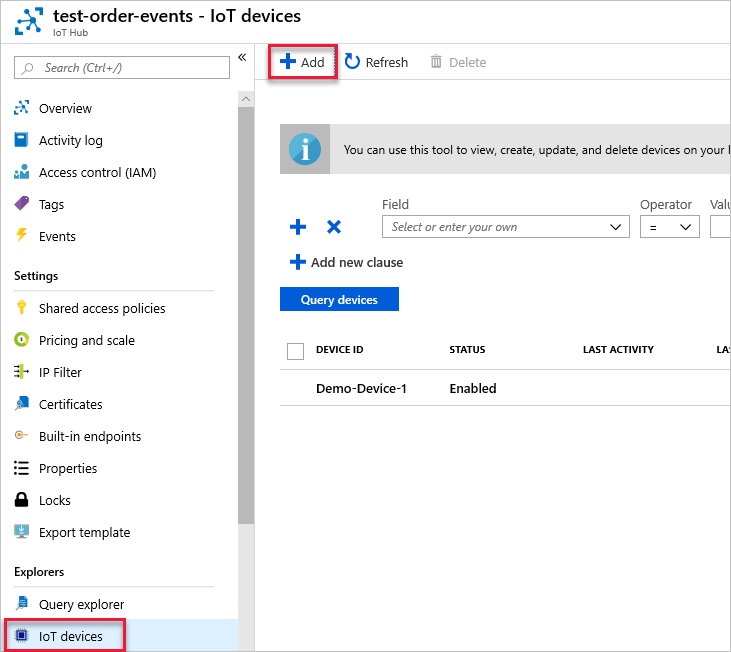 For details, see the Azure CLI pages for creating an event subscription and creating an IoT device. On the Overview blade, select Delete or Disable. On the Overview blade, select Delete. To remove an Azure Cosmos DB account from the Azure portal, right-click the account name and click Delete account. 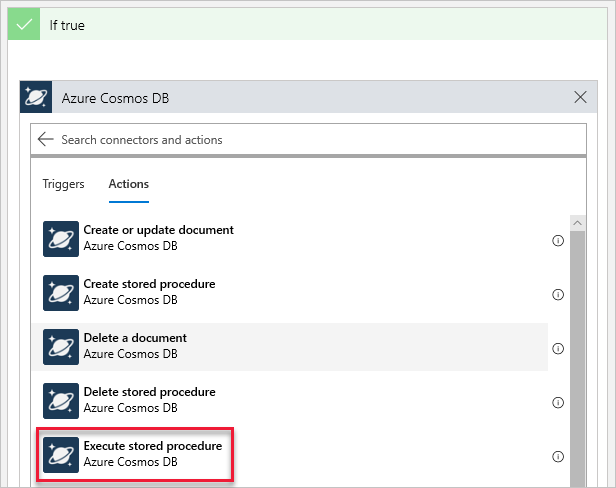 See detailed instructions for deleting an Azure Cosmos DB account.